I'm a sucker for a nice palette in pretty packaging, and Pur Cosmetics nailed it again. The Transformation Palette is a gorgeous palette with five eyeshadows and two cheek colors. The two cheek colors and one of the shadows are a cream formula. Normally, I'm a complainer over creams and powders being in the same packaging, but I've been using this palette for a couple of weeks and I haven't had an issue. Let's talk about the packaging. The packaging is gorgeous. It's sleek, thin, and lightweight. Despite being light, it's sturdy and secure. The mirror is nice and the layout of the pans is nice. The creams and powders are spaced out in a way that looks nice without having the appearance of wasting space, but they're still far enough apart that the powder isn't drifting into the creams. Onto the formula. I was seriously surprised over the formula of these shadows. I've used shadows from Pur Cosmetics in the past, and I've loved them. The issue I've always had, and it really isn't an issue, is that they're super soft, like Lorac's shadows. They always kick up a lot of product and tend to be a little messy. These are different. They hardly kick up at all, but they're super pigmented and smooth. They almost feel like cream shadows without being creams. They're very pigmented and easy to blend. They last all day and don't fade. The creams are super creamy and blendable, much like the strobe palettes I reviewed in the spring. They dry to a powder finish and last all day. As you probably know, October is Breast Cancer Awareness month. 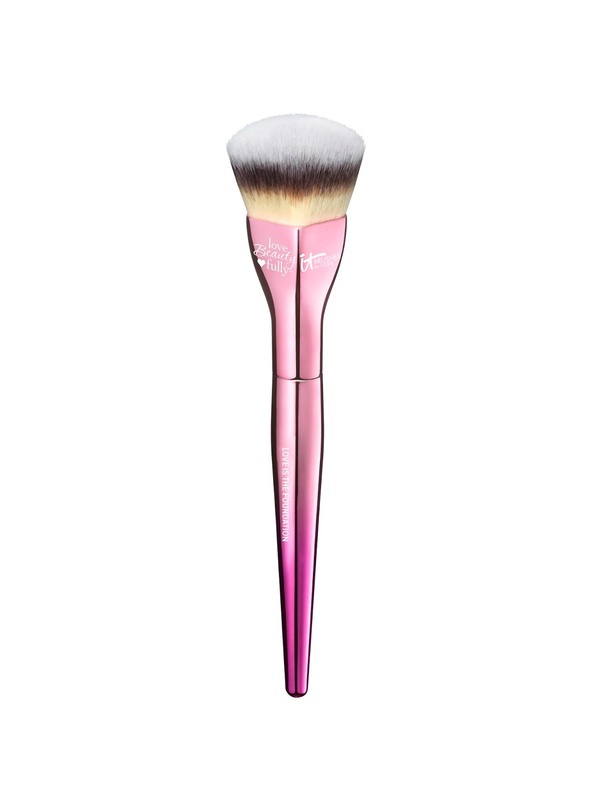 I love when companies support causes like this and this time, It Cosmetics has released the cutest foundation brush in support of Breast Cancer Awareness.